No car stereo system is truly complete without a high-quality subwoofer. By accentuating and amplifying the bass frequencies, a great subwoofer can add a powerful dimension to the listening experience. Generally, car subwoofer installations are great investments but only if installations are carried out by qualified professionals. By minimizing the burden audio puts on factory-installed speakers, aftermarket subwoofers can also extend the useful life of all car stereo systems. Just as important, high-powered aftermarket subwoofers add an aural dimension and ambience that is guaranteed to impress. Many cars come with subwoofers pre-installed. However, aftermarket subwoofers are highly prized for enabling new levels of crystal-clear bass response. Almost universally, dedicated car audio enthusiasts prefer aftermarket audio components to their factory-installed counterparts. 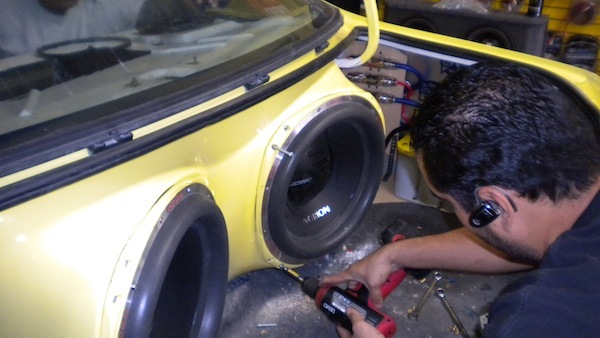 Oftentimes, installing aftermarket car subwoofers is a delicate process requiring specialized skills and tools. For the average vehicle owner, it makes sense to utilize an experienced installation company like Joe’s Stereo. Our many years of experience have long proven we can meet customer needs consistently, time after time. 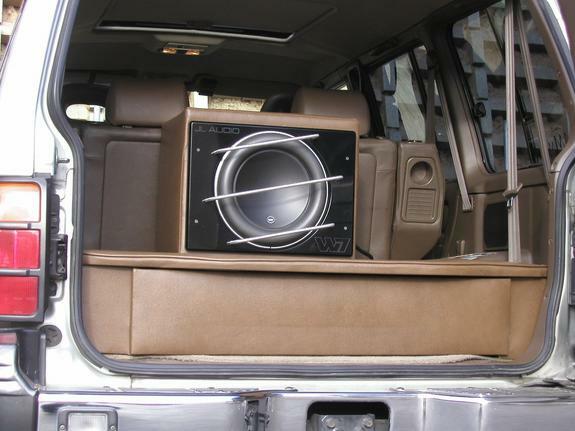 Utilizing relatively large drivers and enclosures, aftermarket car subwoofers are typically installed in trunks or back seat spaces. By hiring experts with deep experience in car subwoofer installation, car stereo enthusiasts can ensure their subwoofers are perfectly tailored to meet their individual needs. With over ten years of industry experience, the experts at Joe’s Stereo can handle any type of subwoofer installation with ease. Customers can trust us to perform professional, guaranteed installation work on brands like BMW, Bentley and other high-end auto models. When preparing for car subwoofer installation, it is critical to pick a subwoofer model with the right power rating and impedance to match the car’s amplifier. Subwoofers come in many sizes and larger isn’t necessarily better when it comes to audio fidelity. It is also important to pick a subwoofer with the appropriate sensitivity and enclosure type. We can help with all of this by providing recommendations tailored specifically to your needs. Buyers can choose between subwoofers with single and dual voice coils. The average subwoofer uses one voice coil and this setup typically works quite well. On the other hand, dual voice coil (DVC) subwoofers offer more versatility. Well-versed in traversing all of these decision points, we help our customers find the perfect subwoofers to optimize their car stereo systems, producing remarkable new levels of clarity. We offers many of the most prestigious, universally respected car audio brands including: Alpine, Treo, JL Audio and Rockford Fosgate. If you have aftermarket car audio installation needs, give us a call for fast, guaranteed service.